In the gallery until October 10th are photographs by the influential documentary photographer/filmmaker, Robert Frank and an idiosyncratic selection of blownup, anonymous snapshots from family albums. Frank's photographs on exhibit are primarily from his seminal book, The Americans, the result of a two-year road trip through the United States. A bleak portrait of American society in the mid-1950's, the book revealed "the humour, the sadness, the Everything-ness" of America, as Jack Keroauc wrote in the introduction. 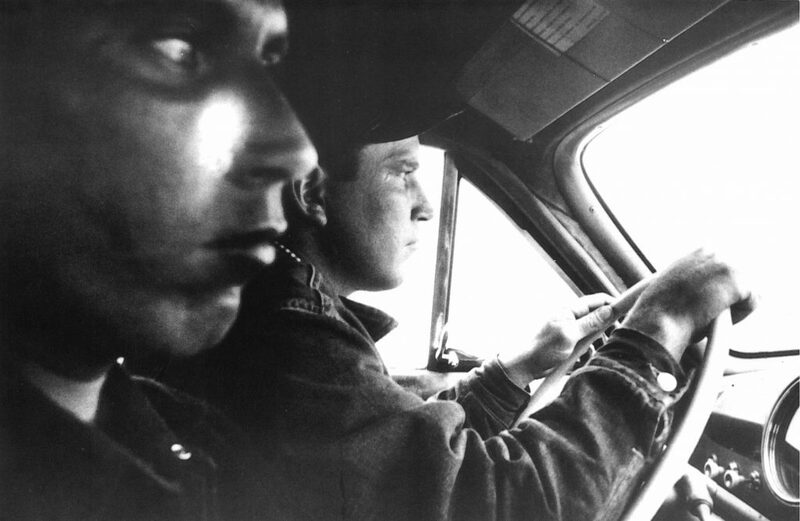 Frank turned to filmmaking in the late 1950's, and since then has been producing highly personal and poetic film. The exhibition includes magazines and publications where his work was published, as well and nine of his films to be screened at Pacific Cinematheque. Typical of the beat generation, Frank is interested in the irrational and real-life in all of its contradictions. There is a similar sense of immediacy to the assemblage of prosaic snapshots. They are full of unexpected analogies and surprising details, emphasized through enlargement. Both vernacular and "art" photographs in this exhibition give social significance to the fleeting moments of the everyday. The exhibition was made possible through generous loans and assistance from Claudia Beck and Andrew Gruft, Rod Slemmons, The Seattle Art Museum, Pacific Cinematheque and Opus Framing and Art Supplies. Sept 11, 2:00p.m | Lecture by Rod Slemmons on snapshots and Robert Frank. 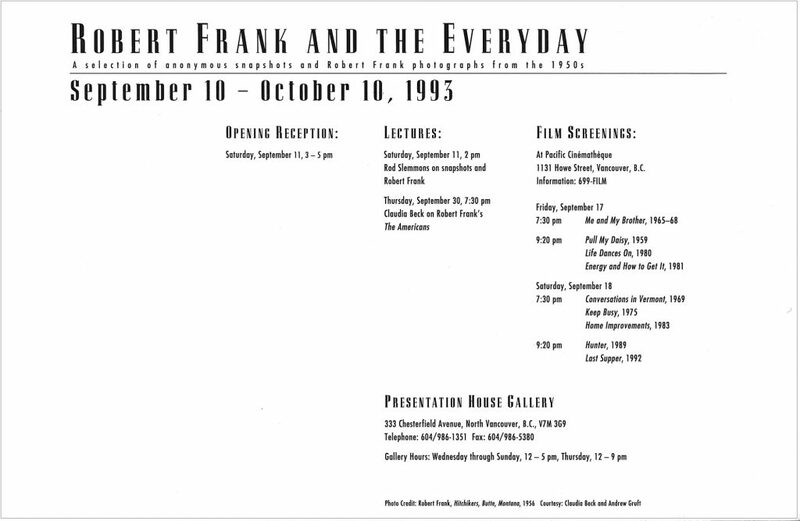 Sept 30, 7:30pm | Lecture by Claudia Beck on Robert Frank's The Americans. at the Pacific Cinematheque, 1131 Howe Street.